"Oh you don't say?" said another befuddled colleague. New England did not score the game's first touchdown until the fourth quarter. They are tied with Pittsburgh for number of wins (six). 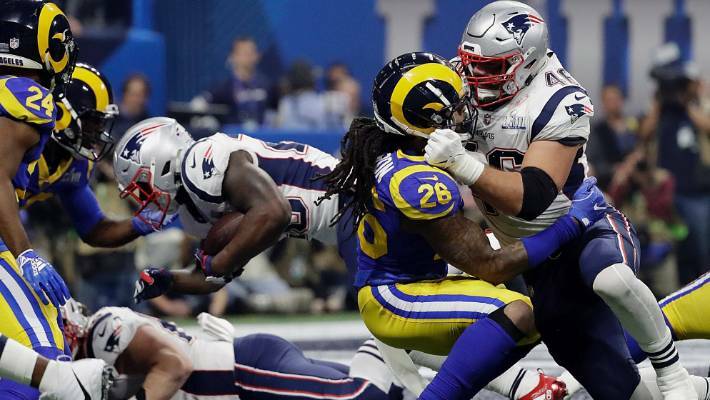 The Rams earned the dubious distinction of being tied with the '72 Miami Dolphins for scoring the fewest points in a Super Bowl. Consecutive Super Bowls have not featured the same two teams since the Dallas Cowboys and the Buffalo Bills went head-to-head in Super Bowl XXVII and Super Bowl XXVIII, with the Cowboys winning both games.